Why is Surface Water Drainage important when you are buying a property? One of the first things a Pre-purchase Building inspector will be looking for when inspecting a property is the Surface Water Drainage. Surface water drainage is very important as inadequate surface water drainage can cause serious defects to a property over time e.g. cracked foundations. When it rains, water needs to drain away from a dwelling and not sit or pool close to the dwelling foundations. 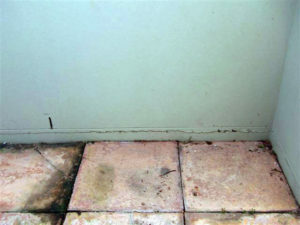 If moisture is pooling around the foundations of a dwelling it can lead to cracking, mould and mildew and can attract termites. Ideally the ground level or the finished concrete, paving etc should slope away, allowing water to drain away from the foundations. Surface water issues may not be obvious to the untrained eye and go un-noticed. 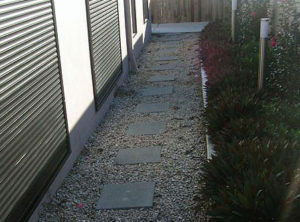 For example, stones may make an outdoor area look fresh and tidy but may be hiding a surface water issue beneath them. If there is an issue with the surface water drainage of the property you are looking at purchasing our building inspector will make a recommendation in your building inspection report for this to be inspected and reported on further, by a licensed plumber or licensed drainer prior to you purchasing this property. Sometimes minor landscaping can re-direct the water away from the foundations and other times costly new drainage will be required instead. A quote can be obtained from a licensed plumber or drainer and you can negotiate these costs with the current property owner prior to settling on the property. Our building inspector will be happy to discuss the surface water drainage of your property with you.